This gorgeous little top will really get you in the zone! The contrast of the Black with Ultra Bright Neon Orange is superb! 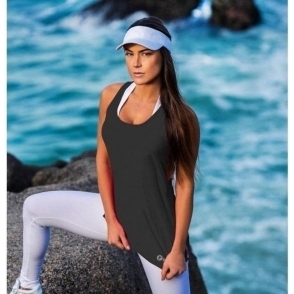 Super lightweight top which is just perfect for any sporting activity, it's moisture wicking and stink free, leaving you free to focus on your workout without the worry of being hot and sweaty!